Flagship Wines has a introduced Uruguayan wines in its range showing the country’s increasing ability to make wines of a diversity of styles and from different grape varieties including Tannat. Its excellent geographic location has led Uruguay to develop a reputation as a producer of quality wines in the last few years. Its vineyards lie between the 30th and 35th parallels south, just like in Argentina, Chile, Australia and New Zealand. 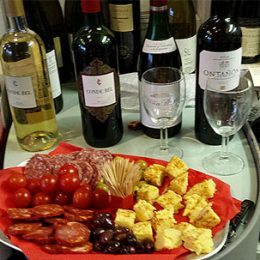 The coastal and the central areas have increasing numbers of wineries and they are located mainly in the Departments of Colonia, Carmelo, Canelones, Rivera and Montevideo. Considered as a country of temperate climate due to its clay soil, sunshine year round, average rainfalls and temperatures, in Uruguay, vineyards rest on rocky terrains or across the plains featuring a rolling landscape. In addition to the skill of the winemakers, the climate and the soil have managed a perfect combination for grapes such as Merlot, Cabernet Sauvignon, Malbec and Tannat grapes to be granted international awards in the wine competitions. Why not try our Uruguayan wines which feature in our weekly tastings in store and at our annual wine fair in October in St Albans. Best of all, our expert team is happy to offer friendly advice. So whether you’re looking for an everyday drink or indulging in a special Uruguayan wine for a celebration, we’re here to help. Would you like to know which Uruguayan wine best suits your menu? Talk to us about your plans… we’ll suggest the ideal wines for your food, taste and budget. We’ll help find the perfect choice for you.